Next, you will have a consultation with Dr. Kirk Eriksen to discuss your health-related problems, concerns, and potential treatment options. The doctor will listen, really listen to your problems to try and find a solution. This initial visit is designed for Dr. Kirk Eriksen to learn more about you, your condition, and expectations to determine how chiropractic care can meet your goals. After your consultation, Dr. Kirk Eriksen will perform a complete chiropractic examination including computerized assessments of your posture and flexibility. Other standard neurological, orthopedic, and physical tests will be performed as well. However, nothing will be done in our office without your consent. 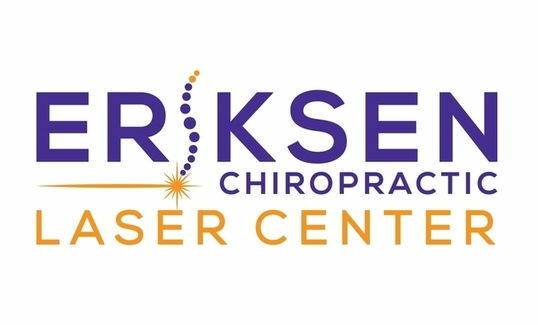 As a matter of fact, if you are a candidate to receive upper cervical care, Dr. Eriksen will review the results of his 1,090 patient research study that assessed the effectiveness and safety of his Orthospinology technique. This huge cohort study was published in a medical journal and you can read the actual paper by clicking here. Depending on your specific condition, we may take X-rays as well. X-rays help us develop the most effective treatment plan for you, and alert us of any serious spinal conditions. Most people are amazed once they see their X-rays up close. You will be able to clearly identify the misalignments and any degeneration when the film are reviewed with you during your report of findings. Dr. Eriksen utilized the latest advancement in digital radiography which helps make his analysis as precise as possible. He uses lead foil compensating filters when taking his X-rays, which dramatically decreases the amount of exposure to his patients. You can read his published research on this topic by clicking here. 2. How and why the spinal care will be done. After reviewing your health history, goals, and examining your spine and X-rays, Dr. Kirk Eriksen will discuss recommendations and notify you if your condition requires care with other providers. Dr. Kirk Eriksen will provide the best treatment and wellness program for your needs. Dr. Eriksen will be happy to prepare a detailed report for your medical doctor, if you so desire. Dr. Kirk Eriksen utilizes the Orthospinology Procedure, which is a low force (no twisting or popping) upper cervical (neck) technique. If adjustments to the lower spine are required, the doctor will typically use a low force, drop table, hand-held instrument or flexion-distraction adjustment technique. If necessary, Eriksen Chiropractic and Laser has almost every physical therapy modality available to treat nerve and pain-related problems. However, the most powerful therapy we have that helps set our practice apart is our advanced laser therapy. Our practice has 3 types of lasers to help improve tissue circulation and repair, nerve function while reducing inflammation. We also have a licensed massage therapist who has his own separate practice, but he is available for our patients. The doctor will suggest a wellness program to incorporate outside of treatment. If you are in pain when you first come into our office this may include: ice or heat application instructions, certain activities or positions to avoid, and at home exercises and/or stretches. If you desire, our wellness team will work with you also to create healthy habits and routines for your lifestyle. Every person is unique, therefore everyone requires a customized wellness plan. The purpose of our wellness program is for you to achieve good spinal alignment, have a healthy diet, exercise, and maintain a positive mental state. Valerie Eriksen is our weight loss and wellness consultant. You can learn more about her services by visiting her website at www.gohealthyforlife.com.